The Gentse Feesten is Ghent’s biggest annual festival and in 2018 it’ll take over the city centre between Friday 13th and Sunday 22nd July. If it’s your first time, then before you get stuck into the party, read TheSquare.Gent’s top tips! It might be an obvious one, but don’t try and do everything – the programme is extensive, and even though the bars never seem to close, it’s not advisable to try and stay awake for 10 days straight! As well as the online programme, it’s nice to buy the booklet too, as it also has tips on using public transport, parking and a map. You can buy one for 2 euros at most newsagents and even in some shops like Delhaize. Stock up on cash in advance to avoid the long queues that appear outside banks. Weekends and the national holiday (21st July) get really crowded thanks to tourists pouring in. Go out in the week if you can, and enjoy with the locals. Wear flat, comfortable, breathable shoes which you don’t mind getting really dirty. Toilets set up for the festival are free to use and the ones at the Vleeshuis seem to be the least crowded. Toilet paper is supplied, but it’s never a bad idea to have some with you. Seek out some cool places in case there’s a heatwave – Baudelopark and anywhere waterside are ideal. 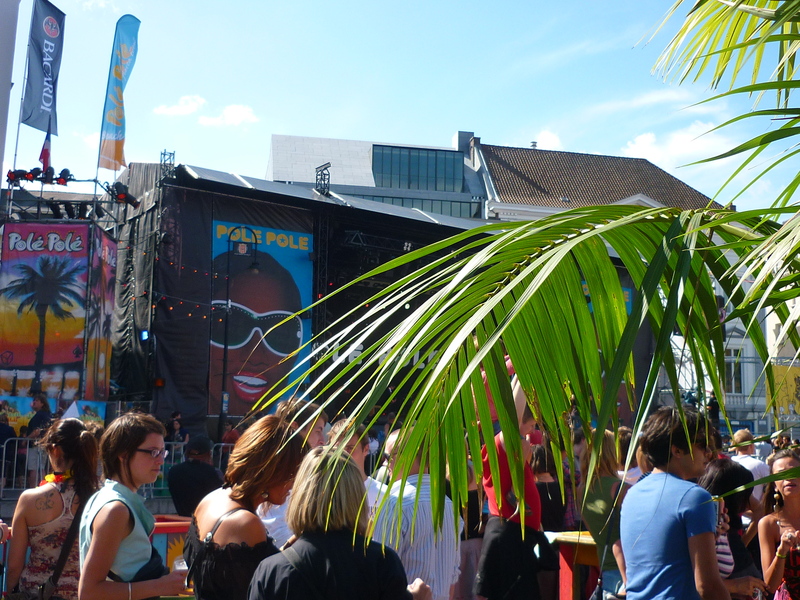 Standing in the sunshine sipping cocktails at the Gentse Feesten is thirsty work – remember to take water with you! It’s best to leave the car at home and use either your bike or public transport. Public transport provider De Lijn has different pricing options, or you can go for the all-in, 10-day Gentse Feesten ticket for 30 euros. There are extra bicycle parking spots (look for the little bike symbol) around the city during the Feesten. Be aware that the popular and supervised bike garages under St Michael’s bridge and under the Stadshal fill up really quickly. Do you live in the Feestzone and need to transport something during the festivities? Check out the official info brochure (a Dutch-only Word document that you can download from this page) for the residents of the central festivities area. Ghent becomes a bit of a ghost town for the 1-2 weeks after the festival. Many bars, restaurants, cafés and small shops close meaning this is a bad time to plan a night out with friends or have visitors to stay. And some places close specifically because of and during the festival, so check before you head out. Don’t try and do any life admin tasks during the festival. Most government offices change their opening hours or just close completely. Are you a fan of the Ghent dialect? The Gentse Feesten have a special programme of events in ‘Gents’, so you can immerse yourself in the experience. Tick the box ‘Ghent selection’ in the programme. And keep your ears open to hear tram stops being announced in the local dialect during the festival! 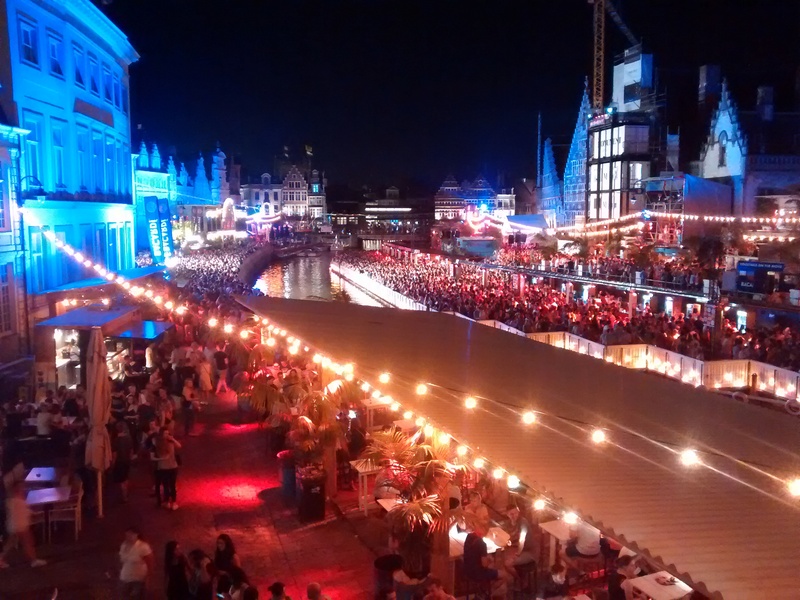 What do you love about the Gentse Feesten?